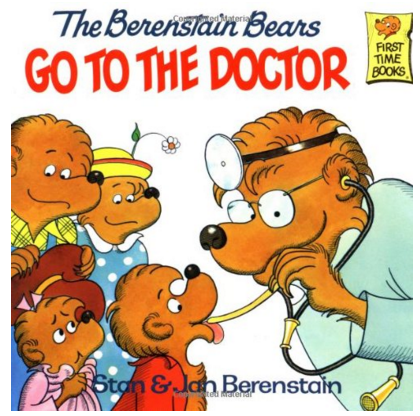 The Berenstain Bears Go To The Doctor Book Paperback Just $3 Down From $5! You are here: Home / Great Deals / Amazon Deals / The Berenstain Bears Go To The Doctor Book Paperback Just $3 Down From $5! Here’s a nice Amazon deal to add to your children’s book collection. The Berenstain Bears Go To The Doctor Book Paperback is just $3 down from $5! Get yours now while it lasts! It’s time for a routine check-up with Dr. Gert Grizzly. Sister Bear is brave about her booster shot, and Brother Bear is fine, but–achoo!–is that Papa Bear sneezing? “A light-hearted approach to the subject with straightforward information.”–Appraisal.